Yesterday I was reading on of the September issue Magazines I bought on my Ipad then I came cross that article about the maintenance of expensive pieces of clothes . 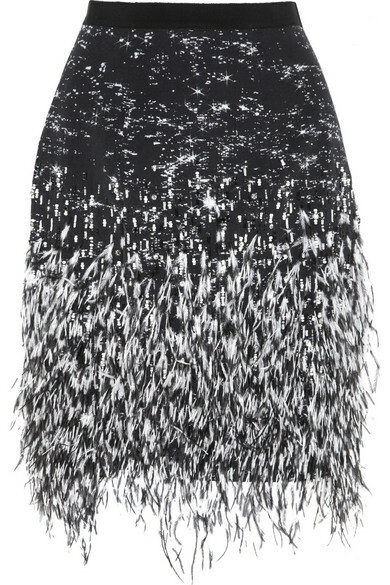 Can you imagine yourself wearing this stunning Skirt by Matthew Williamson , with its feathers , sequins & crystals , and by accident , you drop some juice over it :( this is something we never think about while paying for such a beautiful skirt , shirt or dress . "We have the pleasure of working with world renowned bridal designers such as Vera Wang, Reem Acra, Monique Lhuillier, Carolina Herrera, Christian Dior, Badgley Mischka, Angel Sanchez and Oscar de la Renta."